Fr. Daniel Hendrickson S.J., a member of the Mount Michael Benedictine class of 1989 was recently chosen as Creighton University's 25th president. After graduation Fr. Hendrickson attended Marquette University and then returned to Mount Michael for a year of service working in the school. He began his Jesuit training in 1996. He has taught at several Jesuit Universities and has been serving on the boards of Creighton, Xavier University and Boston College. He most recently has been working in the provost office at Marquette University. Fr. Daniel will begin his work at Creighton in July. Fr. 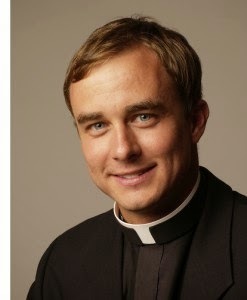 Hendrickson's twin brother is also a Jesuit, Fr. Scott Hendrikcson '89 teaches at Loyola University in Chicago. Their older brother Dr. Ryan Hendrickson '87 is a professor of Political Science at Eastern Illinois University.